It may catch you by surprise when you start shopping for a toilet. Why? Because there are so many options to choose from. It is easy to get overwhelmed. We want to help you out. We are going to walk you through buying a toilet, step-by-step. Below, we will start with toilet types followed by styles. 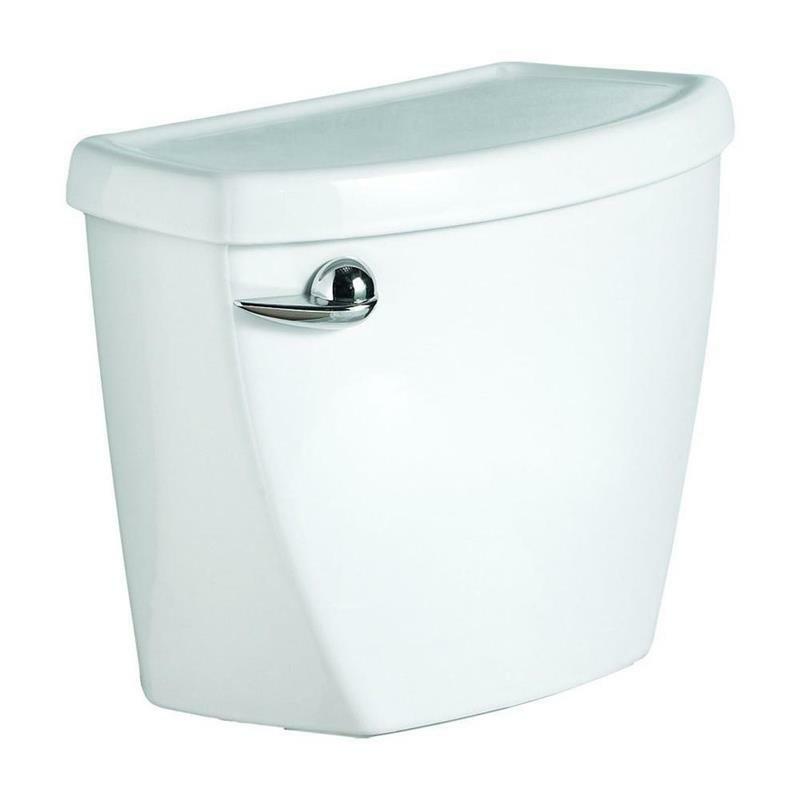 We will explain the different types of flush styles and walk you through every design option available. We’re even going to show you some features you may not have thought of, like trapway visibility, eco-friendly designs, and toilets with technology. It’s time to buy a toilet, so start in the smart place – what type of toilet you want. 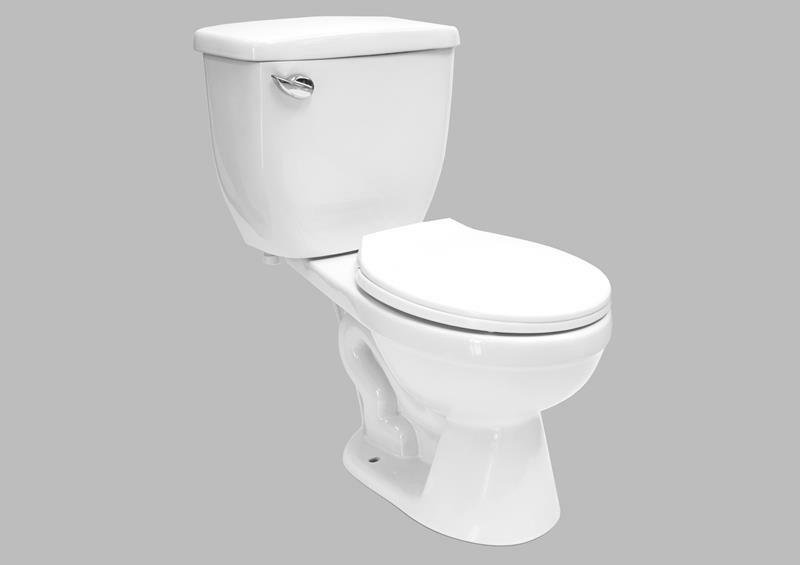 When we talk about toilet type, we mean the basic method that the toilet uses to flush and dispose of waste. 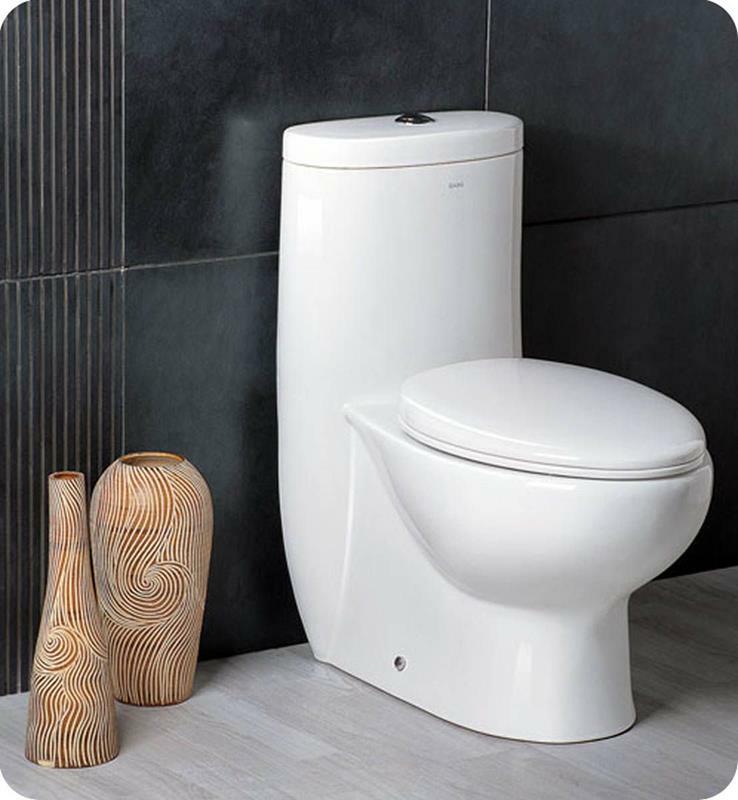 From there, you will choose the best style and flushing technology that fits your overall design. 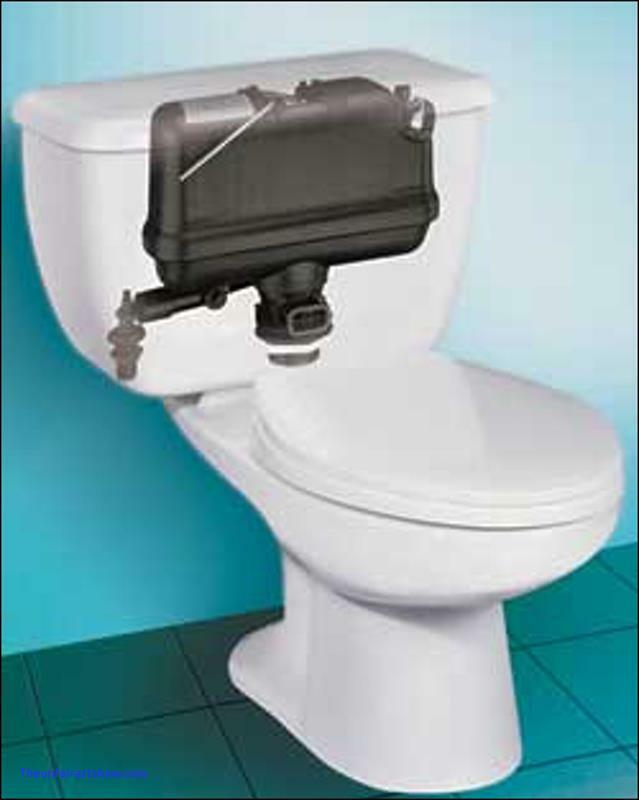 Let’s look at the three main toilet types: gravity-feed, pressure-assisted, double-cyclone, and waterless. Gravity fed toilets are the most common and probably the one you’ve seen the most of. They are also the oldest types of toilets. With these toilets, a tank holds the water that then drops into the bowl when the flush valve is pressed. The water moves in and pushes the waste through the trapway (we’ll discuss trapways later). A siphoning action is used to help clean the bowl, and these toilets are quiet. They don’t have many moving parts, so maintenance is minimal and easier. 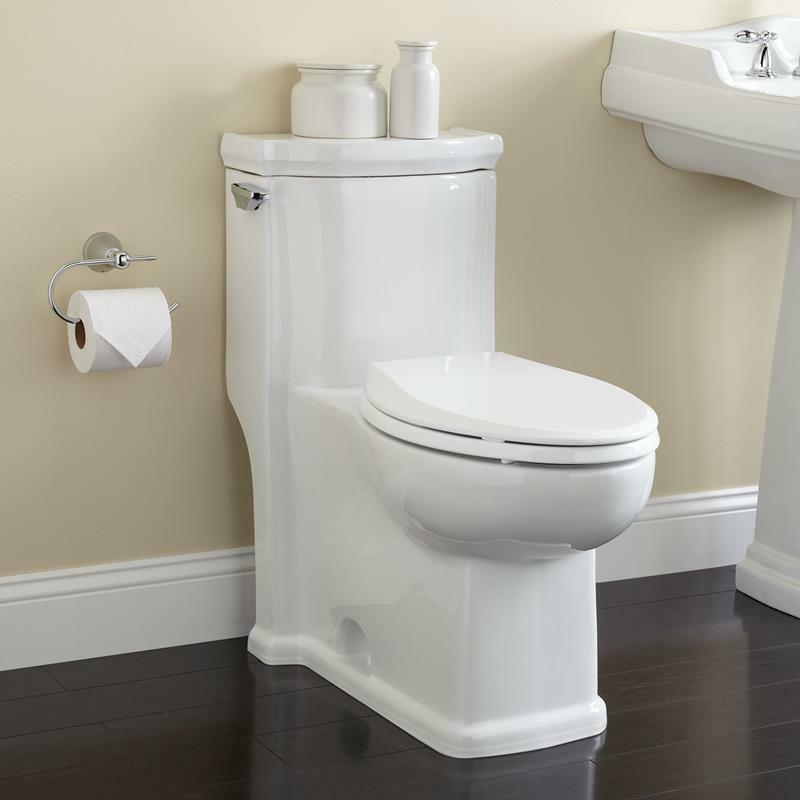 With pressure-assisted toilets, you are getting a more powerful flush. This system uses pressurized air that forces water from the tank and into the bowl with more power. This type of system is going to be louder than a gravity fed toilet, but it is also more efficient. A benefit to this types of system is that clogs are less common because the force prevents them. This makes them a good choice for toilets that are used often and by many people. Dual-flush toilet systems are great because they conserve water. They offer you a combination of gravity-feed and pressure-assisted toilets, letting you choose which one to press. For the half-flush option, you will get the gravity-feed option that works to clean away liquid waste. 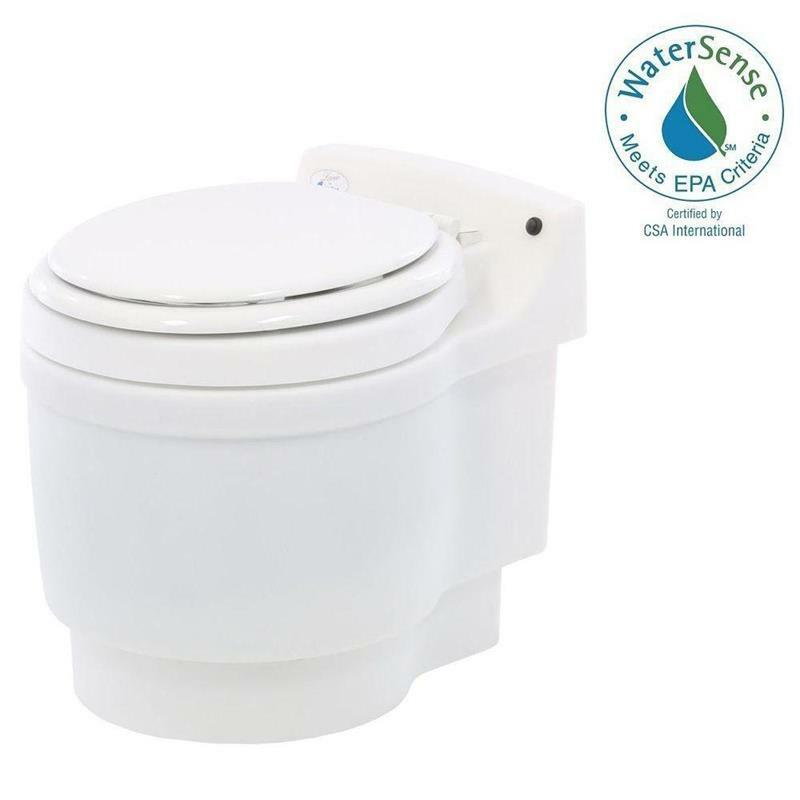 The full flush option gives you the pressure-assisted flush that takes care of solid waste. Self-contained waterless toilets work for situations in which there is no access to water or plumbing. You won’t find these in most permanent homes, but you will find them on work sites, remodeling projects, camping sites, and other similar situations. Also waterless are composting toilets that are becoming popular for off-the-grid people and those who have tiny homes. Dual-cyclone toilets are newer and aren’t as popular yet, but they use a minimal amount of water to bring a powerful flush. 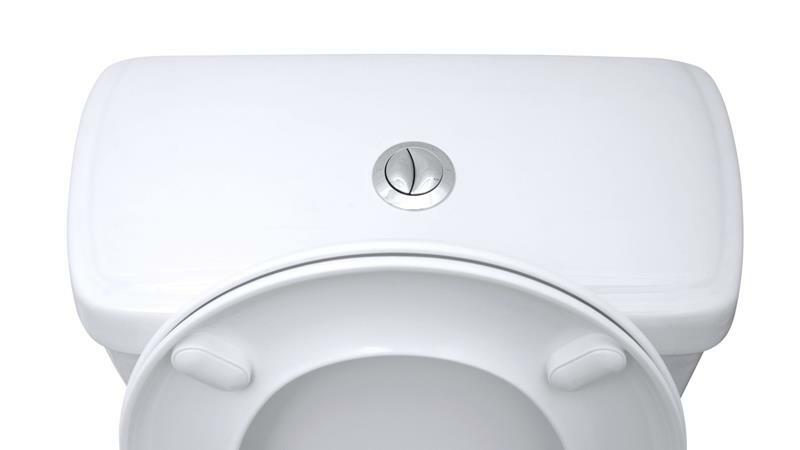 Unlike regular toilets, these use two nozzles along the rim of the bowl to provide a double-cyclone flush. 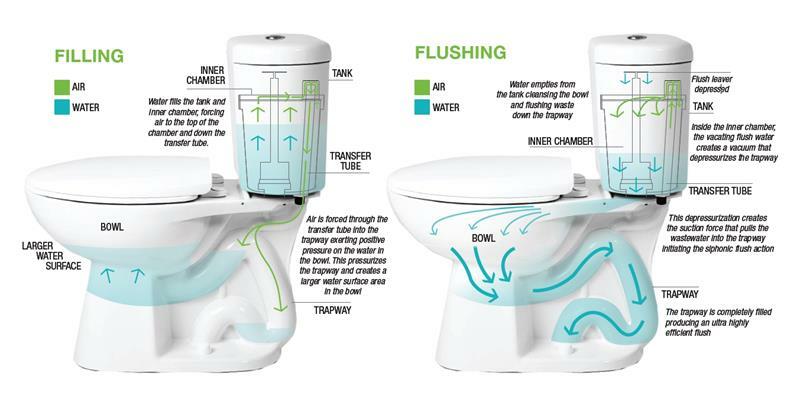 These toilets are another great option for water saving. Okay, so you have an idea for what type of toilet you want. Now it’s time to choose the style. Basically, how many pieces will your toilet be in? Also, will it be mounted to the floor or the wall? Made from one piece of material, this type integrates the bowl, tank, and trapway together. Most have the toilet seat as well. The one-piece toilet is easier to install and easy to maintain. You wont have to work about the fit between multiple pieces and cleaning is easy. Two-piece toilets come to you in two pieces and are then assembled into the final toilet. 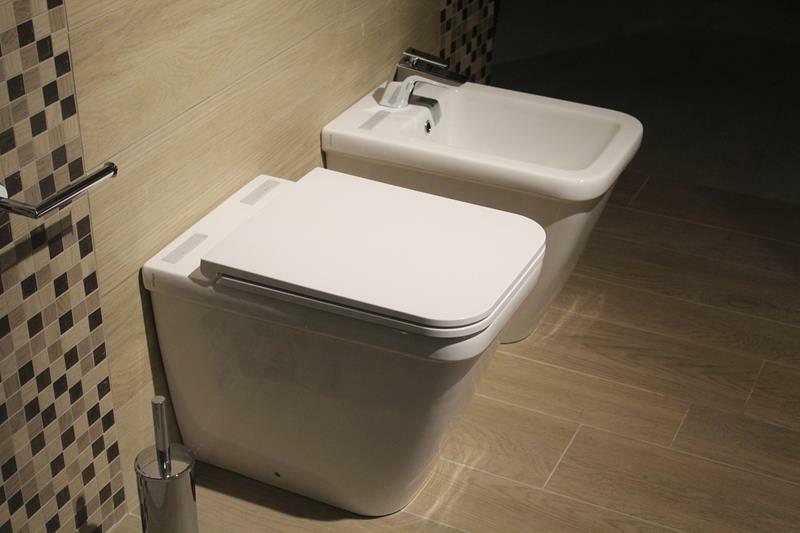 You will have a toilet tank and the toilet bowl and have the option to mix and match the pieces together. These types are common. Though they take a bit more effort to clean, they tend to be more efficient than one piece toilets. They last longer, and you can replace individual pieces as they wear out. 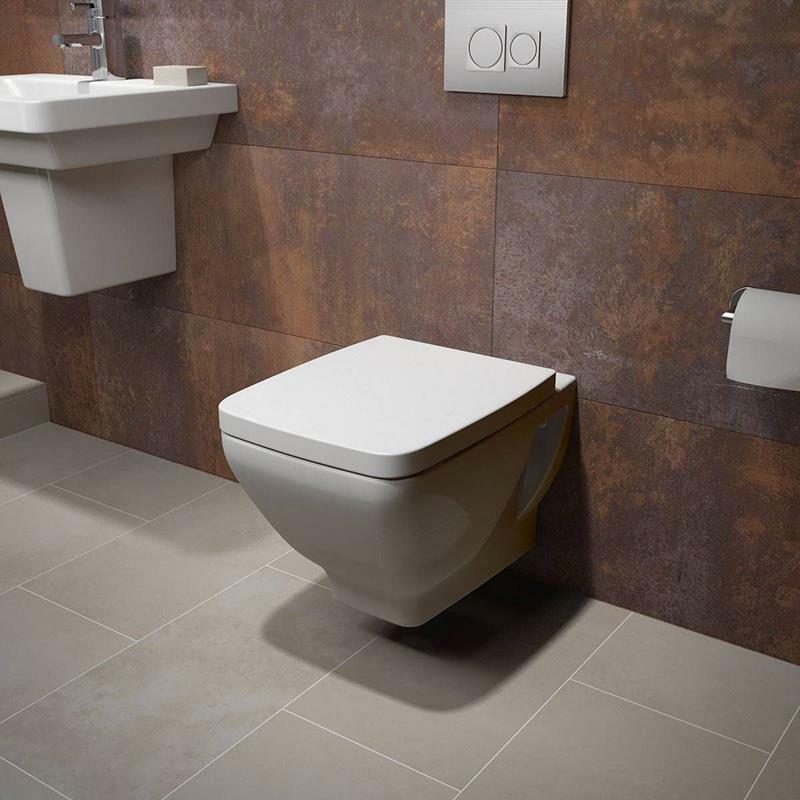 Wall-hanging toilets aren’t as common in homes, but they look great and are a good option for a contemporary design. With wall-hanging toilets, you have the toilet bowl hung from the wall and the flush plate mounted to the wall. The actual toilet tank is hidden away behind the wall. When installed, these toilets take up less space and work well for smaller bathrooms. They will be more difficult to install and usually take some planning during the construction phase. Okay, we’ve gotten the basics down. Now let’s talk about flushing type. Most people are familiar with the single-flush setting. With these toilets, you have one option – a full flush. You press down on the flush valve and the same water pressure comes out for each flush. These are the most common types and you will find they are available in many design options. Double-flush toilets have two flush settings, similar to what we discussed above with dual flush toilets. You press down lightly on the lever or button for a half flush for liquid waste. For solid waste, you press more firmly for a full flush. These are more efficient than single-flush toilets, but they will be more expensive and tougher to maintain. 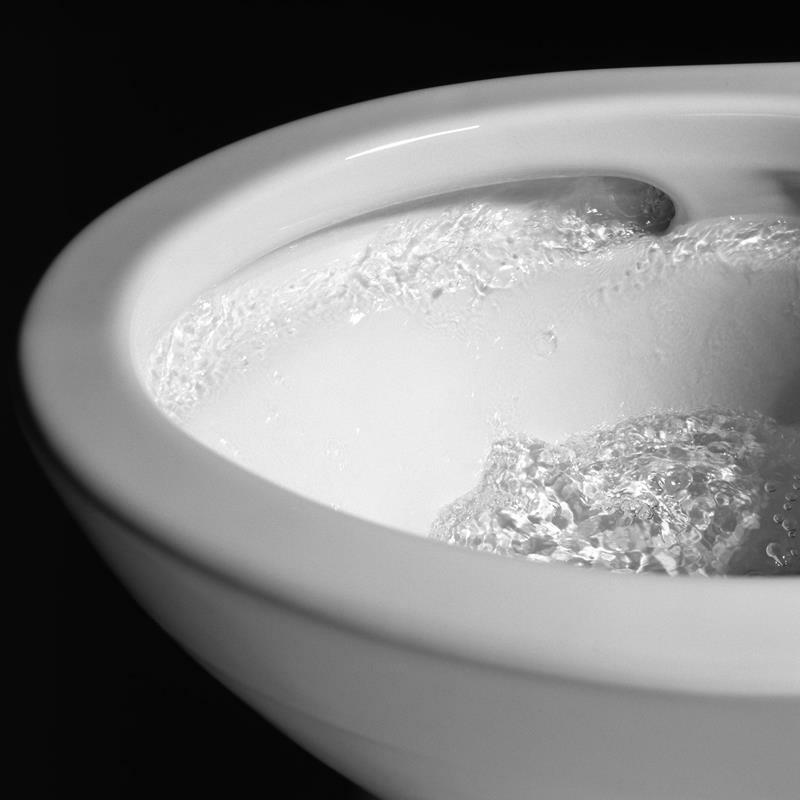 Chances are, you’ve encountered a no-touch flush toilet, but probably not in a home. Usually, these are seen in public restroom so you don’t have to touch anything germy. You can also find them for residential purposes as well. Instead of pushing a lever or a button, the toilet will automatically flush when you are finished. All you have to do is wave your hand over the sensor, usually on the top of the toilet. This type of toilet flushing system minimizes your chance to encounter germs. Most of these are battery operated and you can convert your existing flush system into a no-touch system. Okay, let’s get down to some design options. 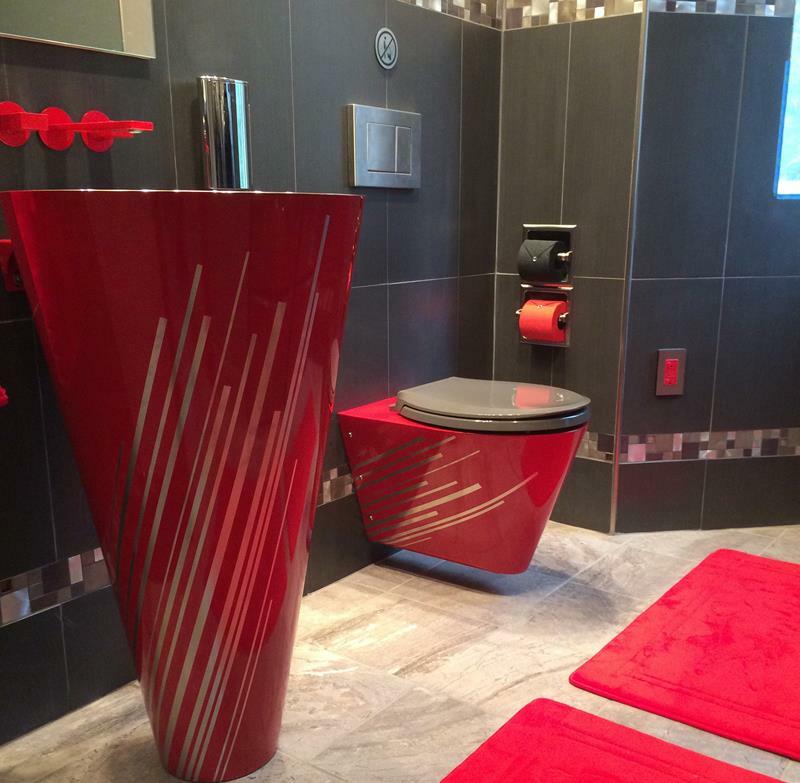 We know you want your toilet to look great. It needs to blend with the overall design of the bathroom. 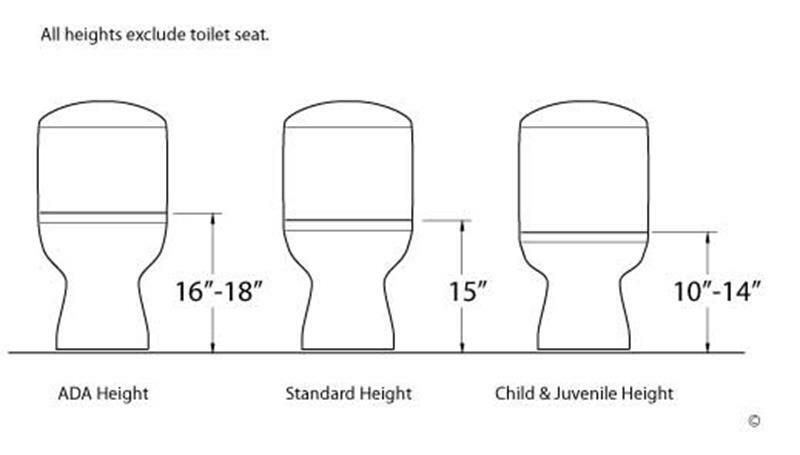 When we talk about toilet dimensions, usually we are referring to the bowl height and seat type. For the toilet height, you will find that there are standards in which there is not much variation. The standard height is 15 inches, which those with disabilities or mobility issues may want something higher. You can also get toilets that are a bit lower, which are good for children. For custom toilets and wall-mounted toilets, the height can be changed a bit more easily, as you’ll have control over the height. There are some variations in the bowl shape, but most of them are standard to the ones in the diagram. 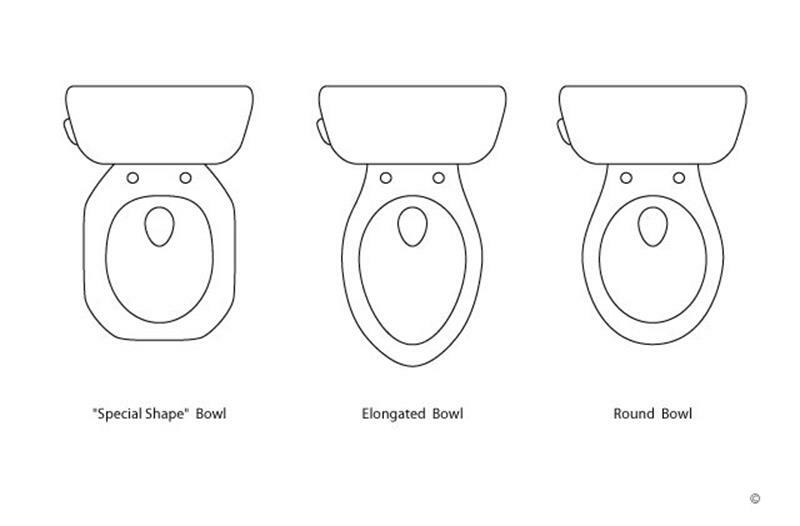 Elongated toilet bowls are oval in shape and offer key benefits. You will find that most are about 2 inches longer than round bowls. The extra length makes the toilet seat more spacious and comfortable. Round toilet bowls are the most common type of bowl. They take up less space, as they aren’t as big as elongated bowls. These work really well in smaller bathrooms. With compact elongated bowls, you find a combination of the two mentioned above. They give you the same size as a regular bowl with the extra seat space of en elongated bowl. When you think of toilets, we know you think white. But you can play around with colors! For a minimal color effect, you can get different color toilet seat tops, but you can also find the whole toilet set in different colors. Blue, red, black. You name it, you can find it. You can match the toilet color to the theme of your bathroom. Your creativity is the limit. You will find that, oddly enough, most toilets come without a seat. That is up to you. With toilet seats, you will find that they are easy to install and replace and you can find one that meets your personal preferences and needs. You can get them in all types of colors and with designs, so they can always match the style of your bathroom. You can find one to fit the shape of your bowl, whether you have a round or elongated type. Of course, you can also get them in a variety of materials, from plastic, cushioned vinyl, wood, and polypropylene. If you have small kids, you can get seats that are smaller just for them, as well as ones that prevent slamming. If you really want to go all out, you can get heated toilet seats and ones that deodorize. Trapways are important, as they attach to your home’s plumbing. 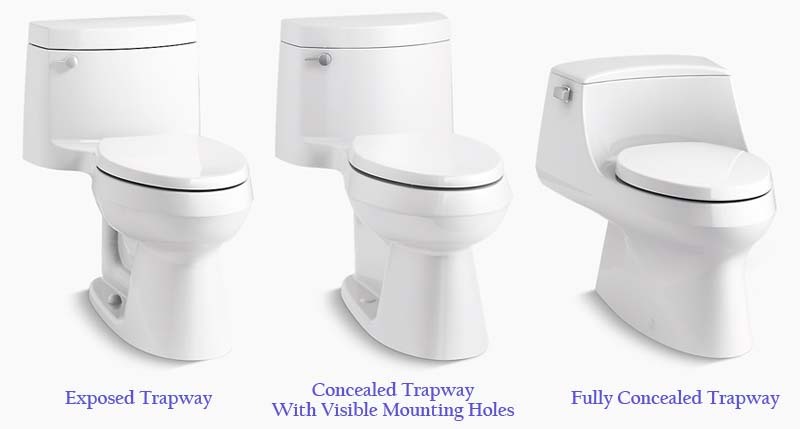 Getting a good, quality trapway will prevent most clogs from happening as they ensure the waste is removed from your toilet to the plumbing lines with ease. With exposed trapways, you can see the S-shaped on the side of the toilet. You will also see the caps that attach the toilet to the floor. With concealed trapways, you won’t see the S-shape, as it is hidden away. You will see a smooth surface on the side of the toilet instead. You will also have low profile caps covering the bolts that keep the toilet on the floor. With a skirted, or fully concealed trapway, you won’t see the S-shape or the bolts. You can find toilet handles in a variety of styles. You will also find that they can be in different locations around the toilet. a. 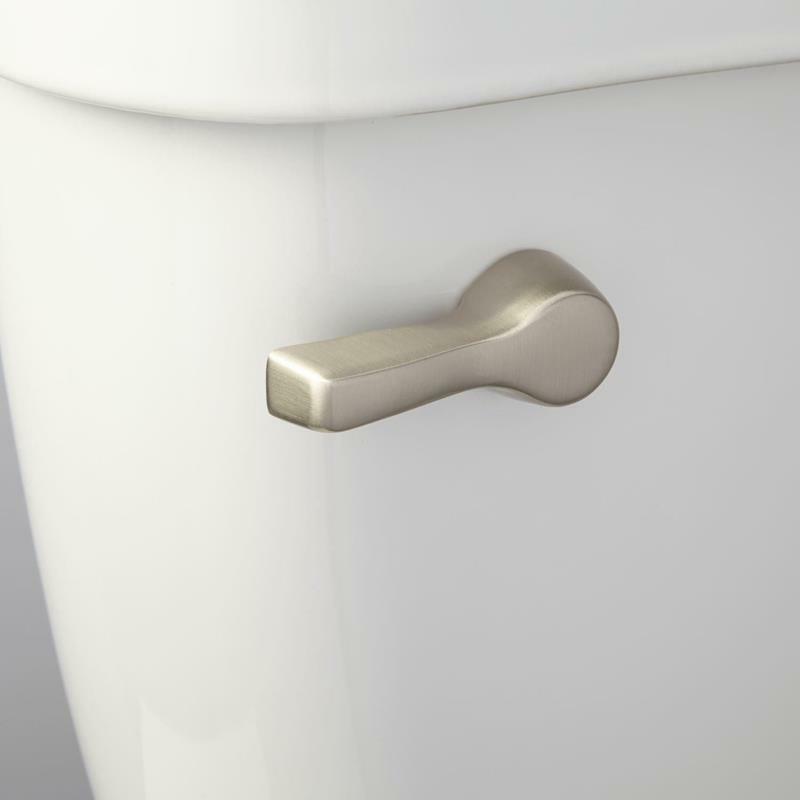 Side Location – the lever or button will be located on the side of the toilet. b. Top Location – the button is located on the top of the tank. You will find this with dual-flush toilets. c. Wall Location – a button will be located on the wall, usually present with wall-mounted toilets. d. Touchless – usually a motion sensor on the top of the toilet. 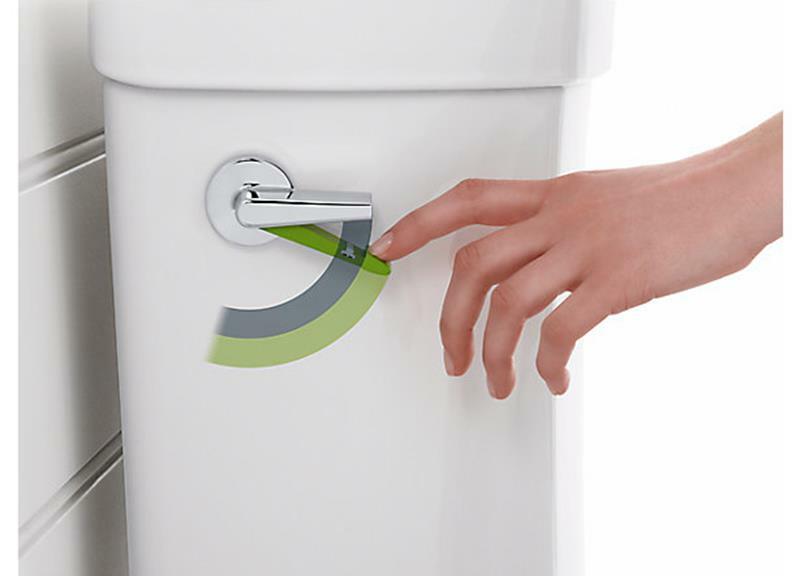 e. Remote – Getting fancy, you can press a button on a remote control to flush the toilet. We would be remiss if you we didn’t give you every toilet option possible. Let’s walk you through some toilet extras. 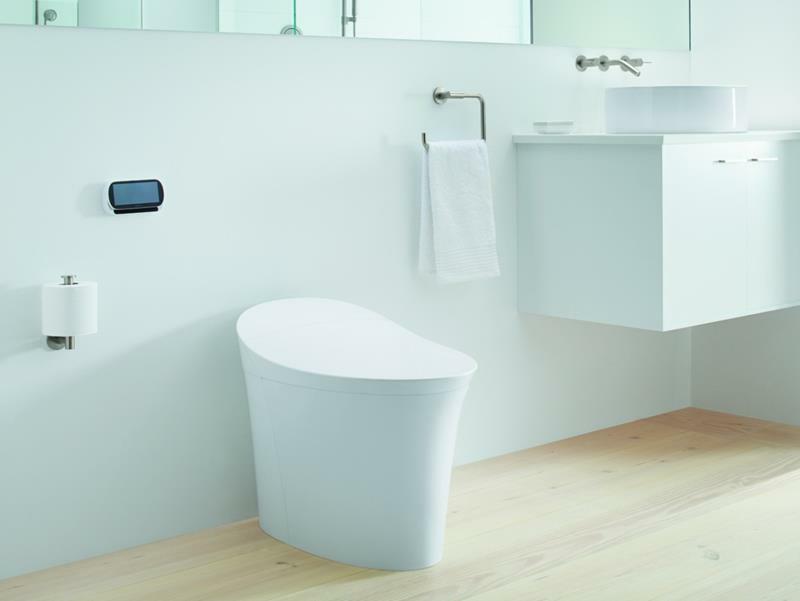 Intelligent toilets are jumping on board with teh smart home wave. Many intelligent toilets have a touch-screen control panel or remote. They will allow you to change the toilet seat temperature, flush the toilet, and even play some music while you are waiting. Some intelligent toilets have a warm water bidet option with controlled cleansing options as well. These toilets will usually have a modern, streamlined look, fitting right into the wave of the future. Eco-friendly toilets are becoming popular about the world, as they restrict the amount of water the toilet uses per flush. Save some water, save the world. We know you aren’t used to seeing urinals in the home, but if you want them, you can get them. Used for liquid waste, they will require additional space. Bidets are popular around the world, but are gaining popularity in north America as well. A bidet is a plumbing fixture, usually separate from the toilet, that helps you clean yourself after using the toilet. It is used in conjunction with or in place of toilet paper. Some toilets come with bidets built-in, so you won’t have to worry about extra space being used. A few other things to consider. Installation difficulty will vary depending on what type of toilet you buy. Toilets are not terribly difficult to install, but you want someone with a little experience helping out, as you will be working with plumbing as well. If you aren’t comfortable doing this yourself, please call the professionals. One-piece toilets will be a bit easier to install than two-piece toilets, but even two-piece toilets won’t be terribly hard. 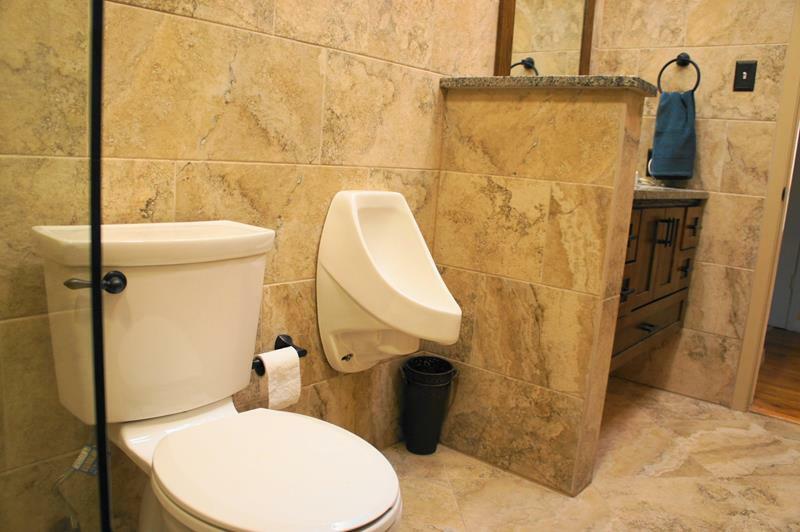 Now, with wall-mounted toilets, we certainly recommend getting a professional contractor. With these toilets, you are talking about putting the tank behind a wall, so the process is much more extensive. Toilet styles, types, and size all depend on the size of your bathroom and the location of the toilet space. 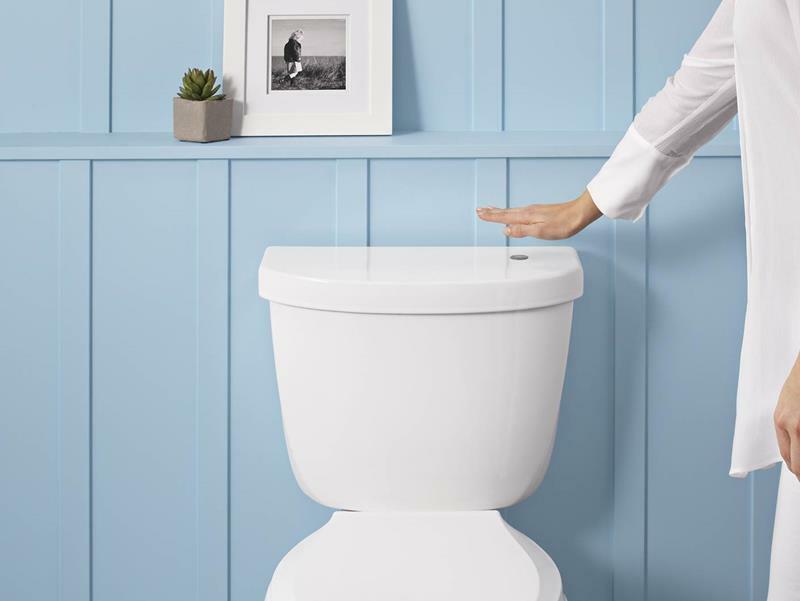 This Wayfair article recommends leaving 21 inches of free space in front of the toilet and 15 inches from the center of the toilet to each side before a wall or other bathroom fixture. The location of the toilet in the bathroom is important. Make sure the layout is one you will be happy with. Is it too close to the sink? How about the Shower or bathtub? Also consider how the toilet you choose fits in with the overall design and style of your space. Who will be using your toilet. If someone with mobility problems or a disability will commonly be using it, consider adding some safety features beyond a height adjustment. You can add some rails around the toilet to help people get up and down. Toilet costs vary widely and depend on all of the things we discussed above. You can spend as low as $100 and as much as $800 for a more luxury style of toilet. 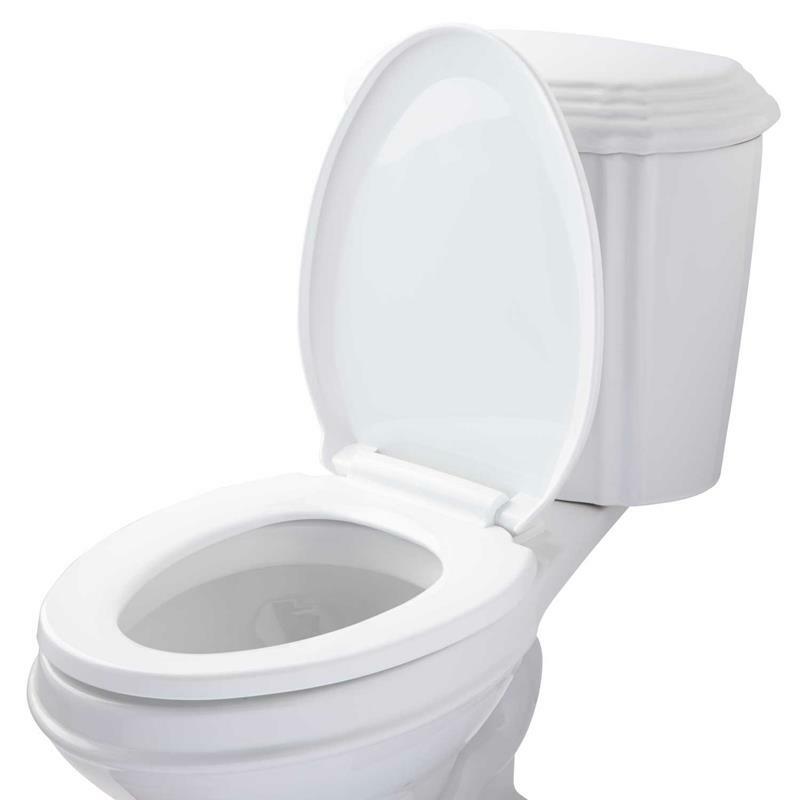 HomeAdvisor says that the average cost of a new toilet is $376, but remember that is the average. Half of the people spent more than that and half spent less. Sit down and come up with a reasonable budget for your toilet before you go to the store. That way, you stay within the limits of what you can afford.